Some say that content is only as good as the number of people it reaches. After all, search engines are increasingly becoming capable of assessing whose content is genuinely good and whose content is not, and classifying it based on that. We are not completely there yet, though, which means that some technical considerations still apply. In addition to that, the masses tend to gravitate toward particular types of content more so than others. This leaves us wondering which types of content we should be focusing on and which types of content should be left alone. If you are like most bloggers and are concerned with increasing the number of visitors your blog receives in a given period of time, then you’ll want to review the following types of posts and incorporate them into your future content plans. Perhaps the most popular form of blog and website content on the web, how-to posts do well because of one simple concept: we like to know how to do stuff. Whether or not we end up following through is another story, but bringing people to your website – and subsequently introducing them to other types of content and posts you may have – is achieved through the how-to post in a much easier fashion than through just about any other form of content. How-to posts also seem to do well with respect to SEO, pinging search engines and ranking high in various SERPs. When in doubt and when out of ideas, figure out how to take a new idea or repurpose an old one, and make a how-to post. Your readers want to be able to absorb the maximum amount of information in as little time as possible, so streamlining their experience only makes sense. This is why list posts are another popular form of blog content and tend to do well in search engine results. In this circumstance, your content will be separated by bullet points or by numbers, making it easy for people to quickly scan and determine what the content covers. In addition, it makes the content more digestible and will prevent readers from feeling overwhelmed if they don’t have time to read it all in one sitting. 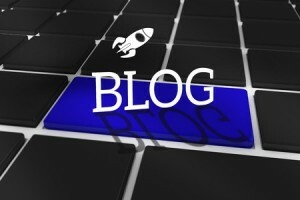 Another way to drive traffic to your blog is to create posts that function as checklists. When someone is planning a big vacation, a new restoration project or some other item that requires meticulous planning, it’s a good idea not to forget any of the small steps it’ll take to get things done. This is why checklist posts can be so valuable when targeted appropriately. Those blogs that are pinging search engines in a given niche with this content can expect over time to bring in a considerable amount more traffic than their competitors who forgo this option. One way to add a bit more potential to this content is to create an auxiliary form of the content in infographic or PDF form; in the case of the former, it’ll be easily shareable via social media and in the latter, it’ll be a great way for users to download and save for later. Do You Have a Posting Schedule on Your Blog? If Not, Why Not?